Looks like it's been there for ever!! Lovely colours. Fantastic.. I love the scallops! 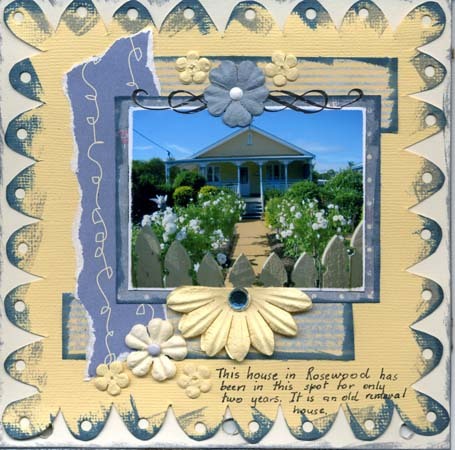 Love the painty edges and the bright yellows andblues you have chosen to use. Gorgeous page! I love this. That roughly scalloped edge looks awesome.